This clinic is your free clinic included with your Dirt Side Sisters annual membership. DELAYED START TIME- Mother Nature has decided to have an emotional breakdown on us and it is going to be SUPER cold and very windy in the morning, BUT midday is shaping up to be GORGEOUS. ☀️We want you to have the best learning experience possible therefore have decided to move the start time to 11:00 AM. This will push the clinic end time to 2:00 PM with the trail being closed. If this affects your availability in anyway, please email us at info@dirtsidesisters.org. We are excited to host our first ever CO-ED Rock Solid Mountain Bike Foundations Skills Clinic p/b Bicycles Plus! That's right guys, this invitation is open to YOU! Our co-ed clinic is perfect for both men and women alike, who are seeking instruction in essential riding skills that will boost your confidence on the trails. 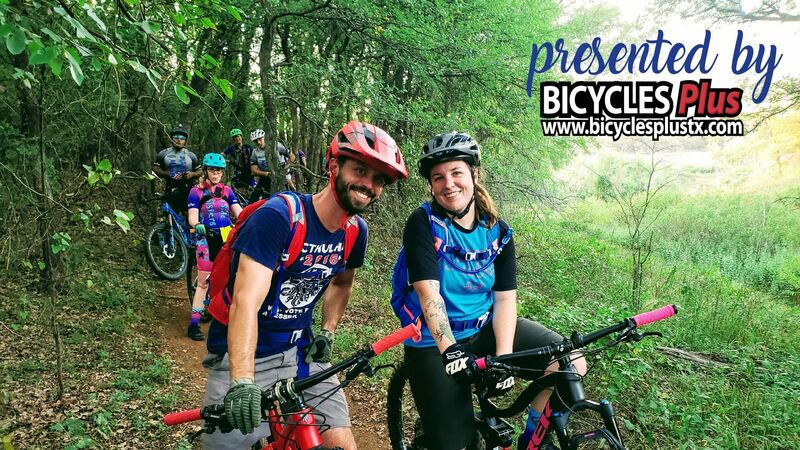 Our PMBIA Certified MTB instructors will be teaching the Fundamentals of Mountain Biking which will include BODY POSITION, OPERATION OF CONTROLS, and TERRAIN AWARENESS/TRAIL SCANNING. This clinic is a precursor to our Advanced Skills Clinic on Sunday. After our group teaching session and field practice, we will be hitting the trail and putting into action our new skills! Whether you are brand new to riding a bike, or a seasoned mountain biker, learning and practicing these skills in a safe and focused environment can be a total game changer to your riding and safety out on the trail. Questions? Email us at info@dirtsidesisters.org.